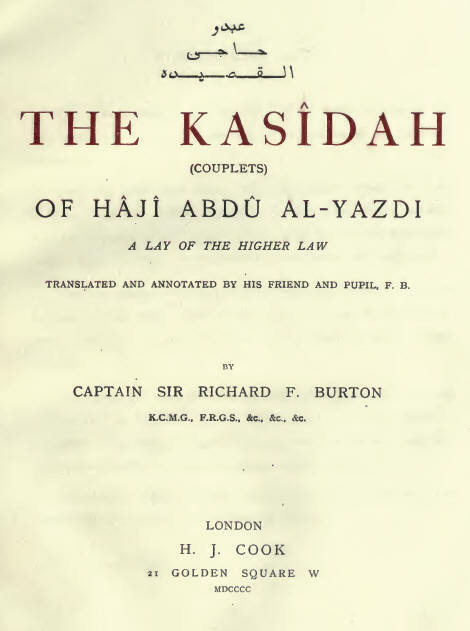 Translated and Annotated by His Friend and Pupil, F. B. ["Frank Baker", i.e. Richard Francis Burton]. [This was actually an original work by Burton himself, not a translation].